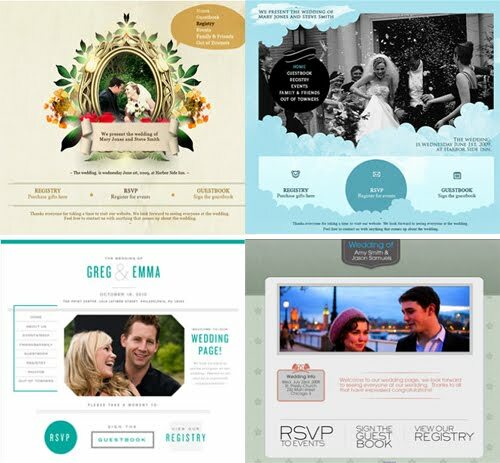 Relentless Bride® Weddings, Wedding Planning, Life & Marriage: Wedding Website Giveaway!!! All you have to do is leave a comment below stating one of your favorite things about wedding planning thus far. Please leave your comment by November 11, 2009 11:59 EST. Make sure your email address or contact information is available. 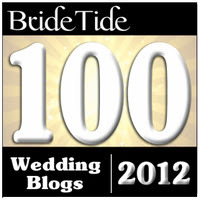 To get an extra entry - Tweet the following "I entered the @weddingjojo wedding website giveaway at @relentlessbride ! Enter Now http://ow.ly/zgxK #Relentlessbride"
I LOVE calling my MOH, who is getting married two weeks before us, with a question or idea. We have a lot of parallels between our plans (our unity candles have the same design) but we both found them individually. It's been so much fun! I have just loved a new world of so much creativity. I love looking at inspiration boards, bride's blogs for ideas (and sharing experiences). I'm having a hard time imagining what I'm going to do when there is no longer a wedding to plan. The best thing about the planning? TRYING ON WEDDING DRESSES! It has been ridiculously fun. I love planning something that I hope all of my family and friends will enjoy. I've never thrown such a big party and I love hosting parties! I love all the choices out there!! 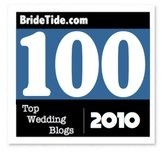 I also love my new wedding blog! Just started a month ago, oliveweddings.blogspot.com! Because my friends and family are so far away from each other, my favorite part about wedding planning is blogging about my experiences...if they can't be there with me through the process, this is the next best thing! I'd have to say, by far, my favorite part has been finding deals on things! I'm a natural negotiator, but coming home and telling FI that I've secured something for $300 that is normally $600 has been sooooo exciting! The creativity out there is awesome in the wedding!!! The best thing I love about planning my wedding is having my mother and my sister on my side. Sharing this experience has been emotional and magical. They have been the biggest supporters on my planning my wedding.. I have one year until my wedding and honestly my favorite part is looking at all of the things *I could* do. Making any sort of decision though seems impossible! I love reading all of the blogs because people have done such inspiring creative things. I feel like making choices limits my possibilities! Honeymoon planning is the best so far!! I think my favorite thing about planning was the moment I asked my sister and my best friend to be in my wedding party. They were SO SUPER excited. Second best would be dancing around the living room with my fiance, trying to figure out what song we wanted for our first dance. :) LOVE IT! Making decisions with my FI and watching him get really involved with the planning is my favorite part. My favorite thing so far has been planning with my friends. My friends and family are so creative! It's going to be a complete DIY wedding so I'm glad to have them on my side. Great post! Don't need it, but I'll tweet it! I love seeing the creativity and excitement that comes with planning a wedding. Also like someone mentioned the good deals/bargains. I love getting input from all my friends for a future wedding. Oooo girl! Great giveaway!! My favorite thing about wedding planning?! Picking out my wedding dress! Seriously, that part was my absolute favorite! The most fun has been sorting through all of the options available out there and working with my FI as a Team to customize choices that are truly, uniquely US. my favorite part about wedding planning is actually bouncing off ideas with the relentless bride herself. She really has done her research and knows what she's talking about!! If I ever have a question-she says, read my post on ____ (fill in the blank). thanks Amy! the best part of wedding planning is bouncing off ideas off my future husband. he brings me back down to planet earth. :) Having a voice of sanity is really good- we definitely complement each other. If we can get through this we'll probably be great at marriage.. right?? I think brainstorming is the funnest part for sure... thinking of all the things i can possibly do, and then narrowing down to what it is i will do! best part of about wedding planning is talking to my other friends and getting advice from former brides. Also- I love not having to buy wedding mags because the ones my former bride friends use are still usable- including from several years ago! The best part about wedding planning is merging two cultures together. My fiance is Greek and I am Chinese. Finding our cultural traditions and incorporating them in the wedding has been so much fun. Both of us were raised in the states so we've been doing some research on Greek and Asian traditions. We've learned so much about both our family backgrounds already! It's been so special. this is my first visit here and my nickname in college was jojo! tasting all the food is the best! I love all the inspiration I am getting from blogs and friends. Planning the wedding can definitely be hectic and fun.